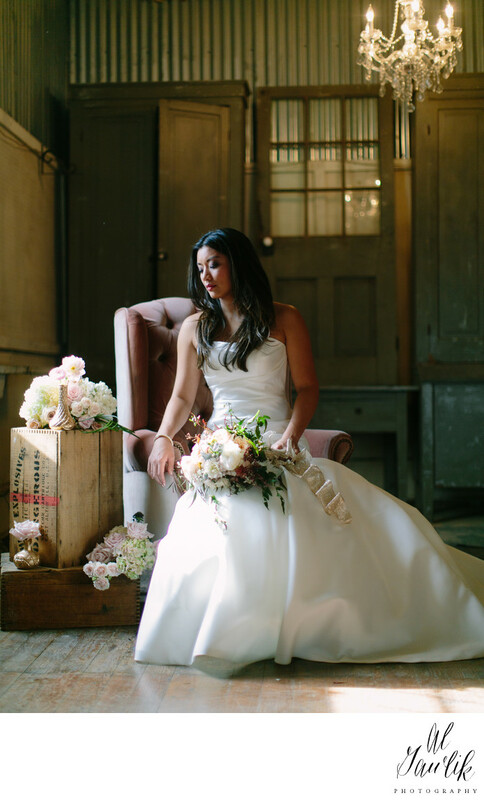 Could it get more beautiful than this balanced portrait of a bride on a classic wooden chair, with flowers in her lap and situated on the box at her right? The light from the antique chandelier above her and the natural light from her right wrap the bride in a warm loving glow. This portrait is so well done on so many levels that words cannot adequately describe it. So I will leave it right there. Just enjoy another story-telling portrait from Al Gawlik Photography.